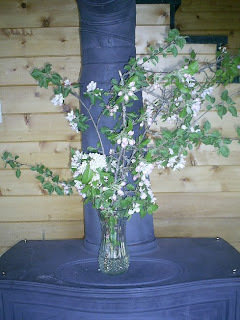 The apple blossoms are out here now. They are such a pretty pink and they smell so nice too. My Big sweetie and Little sweetie picked these yesterday after we returned from church. Remember that moose that we saw here the previous Sabbath?? Well it was back again yesterday! After supper this time and almost in the same spot. This time instead of coming up the driveway, going across the field and then into the woods, he did it all in reverse, coming out of the woods, across the field and heading down the driveway. 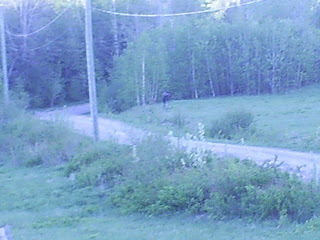 You can see him just to the right of the telephone pole. 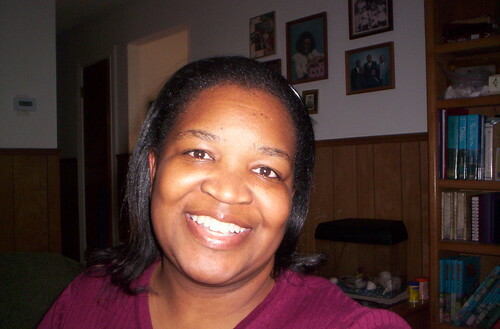 Posted by Lisa at 8:26 a.m. I can't tell for sure from your pictures, but he doesn't quite seem full grown. Is he? 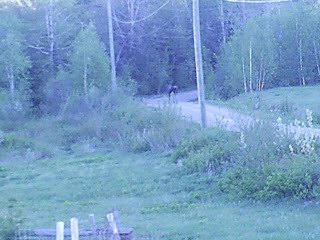 May 28, 2007 at 9:52 p.m.
No moose on my road, but we did have a longhorn bull on the loose one year. That's Texas for ya! 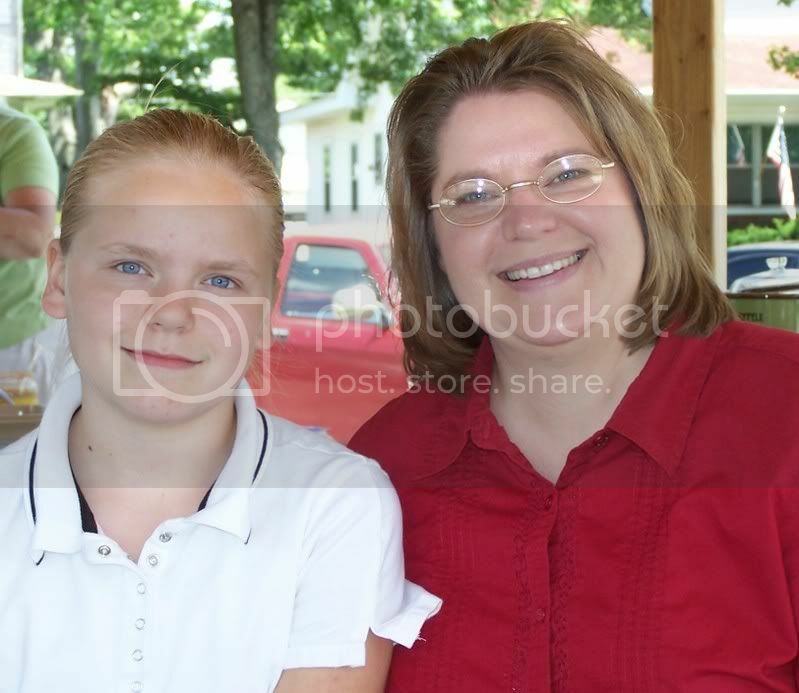 May 31, 2007 at 12:38 a.m.
May 31, 2007 at 2:02 p.m.